VietNamNet Bridge – The Military Telecom Corporation (Viettel) has launched mobile services under the brand name Bitel in the South American country of Peru. The launching of Bitel in Peru is a new step in the global development of Viettel. With 3G coverage and distribution channels over Peru, Bitel should quickly obtain more than 200,000 subscribers. Bitel’s 3G coverage has reached nearly 80% of Peruvian population. “The company has set a goal of becoming a major player in the Peruvian market providing high-speed internet and other telecom services to the people of the country,” said General Director Bitel Hoang Quoc Quyen. Peru is the first foreign market of Viettel where the GDP is 3 times higher than Vietnam’s. So far, Viettel has launched services in eight foreign countries including Laos, Cambodia, Haiti, Mozambique, Timor Leste, Peru, Cameroon and Peru. Last week, Viettel was licenced to build a 3G mobile network in the East African country of Tanzania. On Reuters, Minister of Telecommunications, Science and Technology of Tanzania – Mr. January Makamba said Viettel would build the network from November 1 and begin offering services in July 2015. Viettel expects to provide coverage over about 4,000 villages in this country in 2016. Tanzania, which has a population of around 45 million, is a neighboring country of Mozambique where Viettel has been active. Although there are now four mobile networks in the agriculture-based country, potential for growth there remains huge because only half of the consumers there use mobile services. The largest Vietnamese mobile carrier is expected to start offering 2G, 3G and fiber-optic Internet services in the second half of next year. On October 14, the Swazi Observer newspaper of Swaziland said that Viettel is awaiting a business license here. 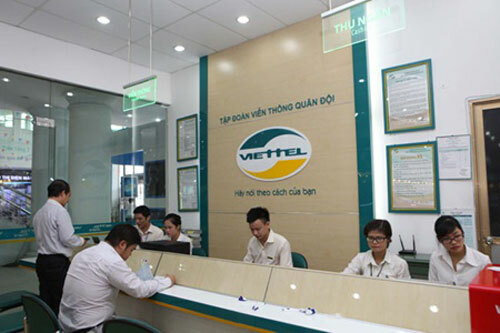 Viettel Global - a member of Viettel - is in charge of implementing the corporation’s overseas projects. In the first half of this year, Viettel Global earned VND6.75 trillion of revenue, an increase of 41% compared to the same period in 2013. Its net profit also increased 3 times from VNd453 billion to VND1.3 trillion. Total assets reached more than VND30.1 trillion by June 30.